in Kyiv, as well as in Ukraine in general, is represented by a rather "well": a different diameter, wall thickness, surface treatment of stainless steel tube (a mirror gloss, polished, honed, brushed, matte, etc. 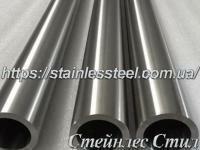 ), the manufacturer (the country origin: Italy, Spain, China, Taiwan, Ukraine, Russia ...), extruded or welded if welded the type of weld stainless pipe (TIG, HF) and of course the stainless steel (food, technical) of which this is the stainless pipe made and a lot of all sorts of specifications. After reading the foregoing inexperienced buyer, the consumer of stainless pipe, comes in "light" fallacy. And if, for example, the size, surface treatment, the type of seam, the buyer can understand without outside assistance, with which the pipe manufactured, it is very difficult to be determined with the selection of grades of stainless steel. In a nation there is a false opinion about it: if the magnet is not stainless pipe - so good, and vice versa, if Italy is never porzhaveet, and if Taiwan or China that can rust and. But in our age it is not so. As is well known, tube stainless steel grade AISI 304 (08H18N10) are not magnet is considered a food, but also stainless steel pipe grade AISI 201 (12H15G9ND) is not a magnet. However, the price difference between the 304 and 201 (tube n / w of the grade AISI 201 (12H15G9ND) cheaper) differs by an average of 30-50% per linear meter. It is important to know because the market a lot of unscrupulous sellers stainless tubes that and expect that it will come to an inexperienced user and he easily slipped stainless pipe 201 brands and costs 304. 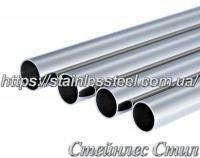 With regard to the country of origin of welded stainless steel tube: there are international standards (guest) which is made of stainless steel. And it can not pipe stainless China or Taiwan to be worse than the Italian or Spanish, provided that it is made of the same steel grade. Not a secret that today the same Italy or Spain buys stainless steel strips, which is made of stainless steel pipe, the same China and India. 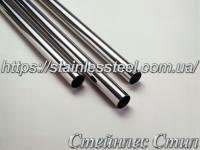 Another issue is the price between the European stainless pipe and tube of Asian origin. And yet again, and then you can easily cheat unscrupulous sellers palming off, for example, a relatively cheap Chinese stainless pipe, instead of an expensive Italian. 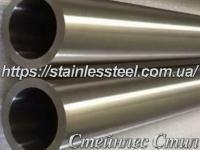 Therefore, buying a stainless steel tube, be very careful and cautious when choosing a seller of such a tube, otherwise you at best, simply overpay a considerable amount of their hard-earned money, but, at worst wrong chosen brand stainless pipe can simply rust and tarnish, etc. . unsuitable for her environment. 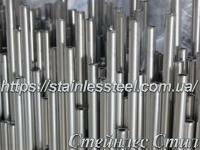 As is known stainless stainless pipe remains only under certain conditions. On how not to fall for unscrupulous seller, you can read here. And on sledok would like to add that the company Steynles Steele Ukraine, over the years on the Ukrainian market of stainless steel, has established itself as an honest and reliable partner. Our employees know enough about stainless steel. 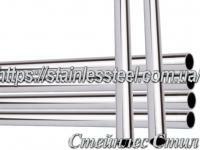 Buying a stainless pipe with us, you will receive detailed information on stainless steel pipes, the scope of application of various grades of stainless steel. Mi will answer all your questions related to stainless steel pipes and stainless metal. Buying stainless steel tubes in our own stock, you can be sure that you will not be deceived with the brand stainless steel pipe, the country of origin, etc. 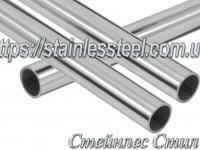 We guarantee you quality stainless pipe at the lowest price in Kiev and Ukraine. Как можно ознакомиться с вашим продуктом подробнее? С каждым посещением мною этого сайта виду изменения только в лучшую сторону. Вот и сейчас вижу появился фильтр поиска нужного товара. Очень удобно и быстро. Рекомендую всем вам пользоваться! Впервые зашли на ваш сайт и были приятно удивлены широким ассортиментом товара и ценовой политикой фирмы.Купили трубу для пробы, сейчас думаем купить еще. Качество соответствует описанию, доставка была оперативна и упаковка предохранила трубы от повреждений. Отдельное спасибо продавцу за хорошую работу.